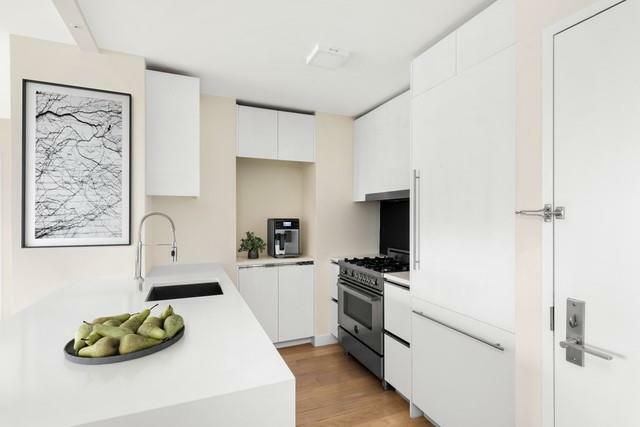 Is this the most efficient renovated corner 3-bedroom apartment located in a full service building with big views, outstanding light and access to the very best of New York City? Very possibly, yes! 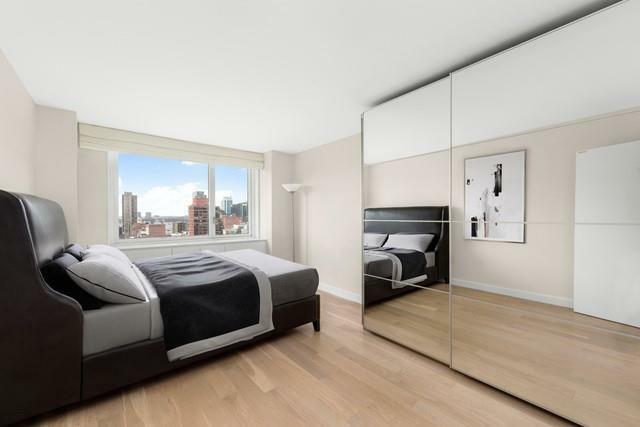 This prime residence at FIFTY THIRD AND EIGHTH offer the best of contemporary living, in the vibrant neighborhood of Hell's Kitchen/Midtown West, moments from Central Park and the Central Business District, not to mention Billionaire's Row.. This 3-bedroom, 2-bathroom home offers expansive living and dining areas artfully conceptualized by BP Architects and design firm, ASH NYC. There is virtually zero space wasted by long hallways and the separation between bedrooms offers outstanding privacy. The open-concept living space features 5' wide oak flooring, Bosch washer/dryer, southern and western exposures with big, beautiful expansive views, as well as air conditioning units in each room. The full-size kitchen is outfitted with Quartz countertops, white lacquer cabinetry, a Bertazzoni gas range, Bosch panelized refrigerator and dishwasher, and stainless steel microwave. 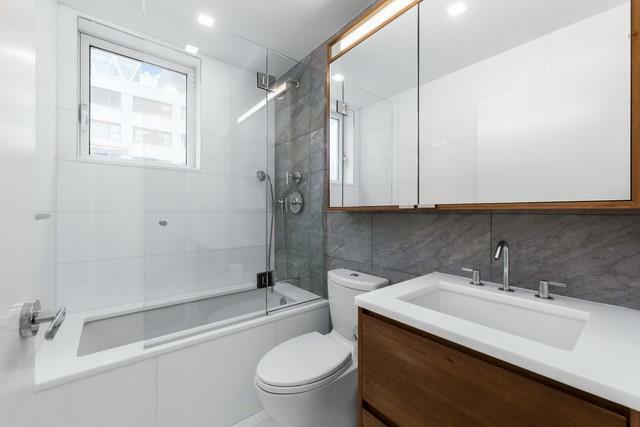 The primary bathroom is designed with scratch-resistant white marble floors and Kohler bathroom sets. The second bathroom features a custom vanity, and a slate-gray marble accent wall. The homes master bedroom features integrated air conditioning, excellent storage space, and western light. The second bedroom faces west and third bedrooms receives natural light from a northern exposure, and are versatile enough for guests or for use as an in-home office.This almost brand new renovated apartment is located in a rare and unique condominium situated at the crossroads of vibrant Hell's Kitchen and Manhattan's Midtown West District, just moments from Central Park and Columbus Circle. 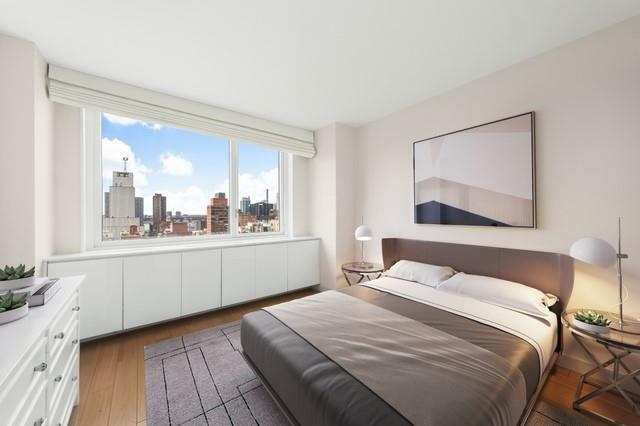 Its location is second to none, especially for those who want the convenience and accessibility to the city's numerous iconic and cultural destinations such as Carnegie Hall, Lincoln Center, the Theater District, Time Warner Center (with a Whole Foods! ), Rockefeller Center, MoMa, Bergdorf Goodman, Tiffany and so much more. The building features a 24-hour doorman, gym and garage.Images are virtually staged. Working Capital Contribution: Equal to two months Common Charges.